As my friend Haley Barbour pointed out, candidate logos seem to cover every available space imaginable in Iowa. A lot of work goes into these designs, with teams of advertising specialists trying to convey particular messages for each candidate. However, in many of these logos those messages aren’t exactly clear. I spoke with Rachel Weeks, a Drake graphic design graduate, about some of those logos. Pro: Her logo manages to remind us of Hillary without actually putting her name anywhere, a big draw when your favorable ratings are constantly falling. In addition, the arrow suggests moving forward, which is infinitely better than going backwards. Con: It is essentially is a dressed up version of the Fedex logo. This isn’t necessarily bad unless you are a postal worker. Pro: The vaguely quote-bubble-shape seems to suggest that people are talking about him, something very helpful for a campaign no one is talking about. Con: The colors are slightly off the normal American, red, white, and blue. It could be considered a nice break from those over-used colors, but it also comes across as less presidential. Pro: The light colors are appropriate for his liberal agenda. Furthermore, Bernie gets that asking the American people to remember a full name is just absurd. Con: Definitely a toothpaste advertisement. Pro: Trump bucks the trend of avoiding last names, which makes sense given the name recognition he last name brings. Plus, I, like so many Americans, am not entirely comfortable with a president named after a duck, so excluding that information was a good call. Con: I can’t help but read the “Make America Great Again!” as Trump screaming at me. Terrifying. Pro: It’s colorful? That makes it kind of cool I suppose. Con: He can’t really expect us to stay engaged long enough to read that whole thing, right? Pro: Bush understands what Carson clearly doesn’t: A short logo is a better logo. Rachel also noted that it was one of the few logos she could remember immediately, a major advantage in the marketing world. Con: Jeb is clearly trying to make us forget about his last name, and I for one am insulted he thinks I can be so easily distracted by an exclamation point. Pro: According to Rachel, “It’s boring, but it works.” That is some high praise. Con: The horribly designed gray “For President” seems to be fading, just like her presidential chances. Pro: The gray wording separates him from the other candidates, aiding his push as an outsider candidate. It also connotes a more serious, perhaps presidential, tone. 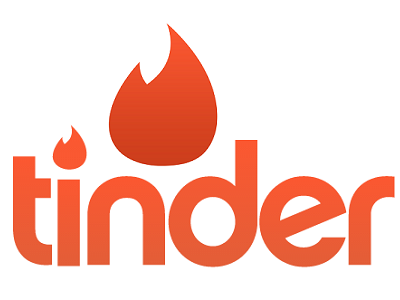 Con: The torch, water-droplet, sideways bird, or whatever it is, really just look like the Tinder logo. Not a great image for a candidate preaching family values. Pro: It really seems like a knock-off Obama “O” logo. This may be bad for a Republican candidate, but if you can’t beat ’em, join ’em. Con: There is too much detail in what is a relatively small J, and the whole thing seems unbalanced. Pro: The round, lowercase letters make him appear more modern and approachable, something his campaign has been playing up. The colors are also appropriate with the classic red and blue. Con: Alaska and Hawaii must have done something seriously wrong to be excluded from America, at least according to the map above the “i”. Furthermore, the map looks like a fish when printed small. Pro: The torch resembles the Statue of Liberty’s, something that ties in nicely with his freedom oriented campaign. Con: The dark lettering effectively cancels out any friendliness that comes with a first name only logo, although as Drake students may know, friendliness may not be his strongest trait anyways. Tunink is a sophomore political science and law, politics, and society major from Waukee, Iowa. He enjoys running on the Drake Cross Country team and binging on Netflix.